↑ All the historians of North Africa attest that the country has been populated by the Amazighs (Berbers) since very ancient times. 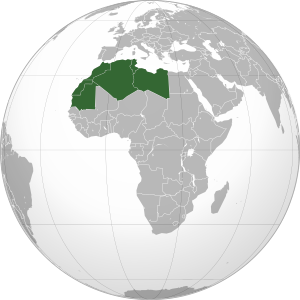 Ibn Khaldoun in his Histoire des Berbères, wrote concerning the country which is usually referred to as the Maghreb and which we call Tamazgha or country of Imazighen (= plural of Amazigh): «Since ancient times, this race inhabited the Maghreb of which it populated plains, mountains, shores, cities and countryside» "The Amazigh Issue in Morocco" (PDF). Retrieved 2012-10-23.